Strawberry Mountain has been around the way for awhile, just not necessarily as montaña de la fresa. Formerly known as Basement Surfers, the DIY music and art collective are as large with their sounds as they are with their member count. Having played two sets at Freakout this year attendees were able to enjoy them twice over, but their sounds were entirely perfect for the Conor Byrne and its crowd. Aside from their all-ages "2nd chance" Filson set Strawberry Mountain packed onto the Conor Byrne's stage as festival goers crowded the walkways of the bar-venue, lining up for Will Call tickets and press check-in. 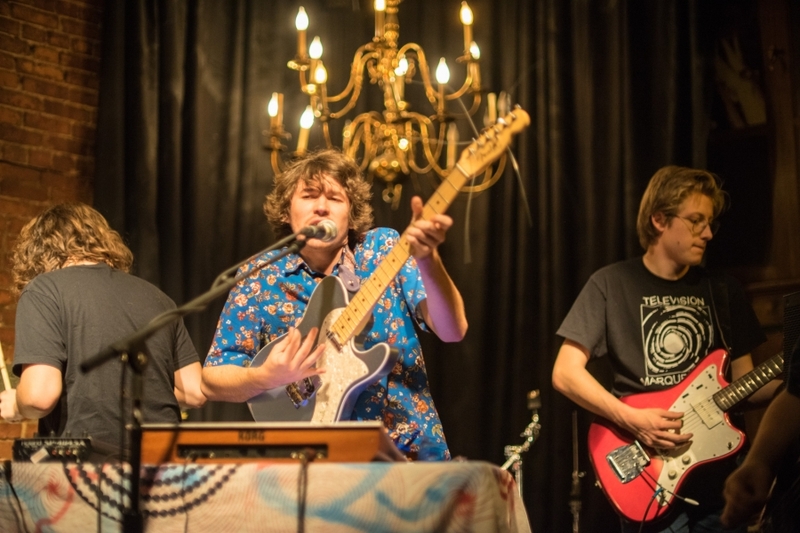 Upon their first notes the heads in the room focused with intrigue on their expansive, experimental psych sounds, much of which came from their early 2017 album Human Music. With that album and everything prior, Strawberry Mountain are definitely ones we'll keep our eyes on.